Surf sacrifice, Ewa Beach, Oahu. 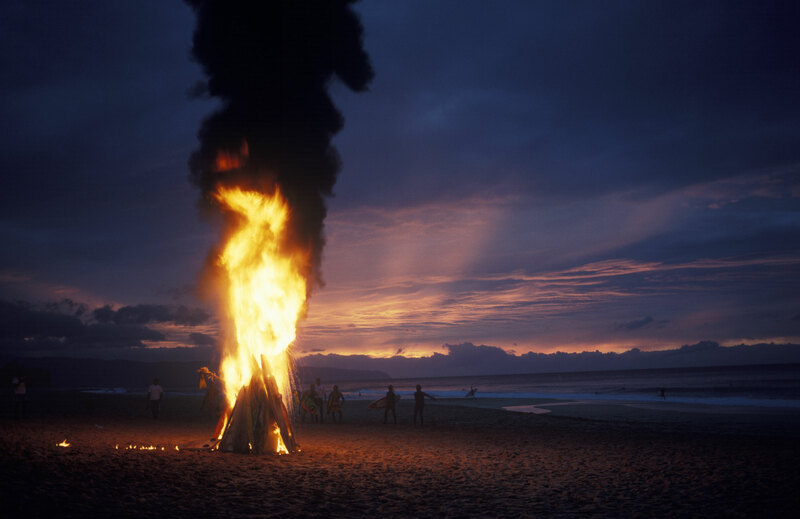 Before the EPA was around the boys used to light 'em up during flat spells. Mid 80's.